Twitter has launched a new version of its website. It's a complete overhaul which brings in much more relevant content as it relates to a given tweet via a second panel on the right hand side off the stream. 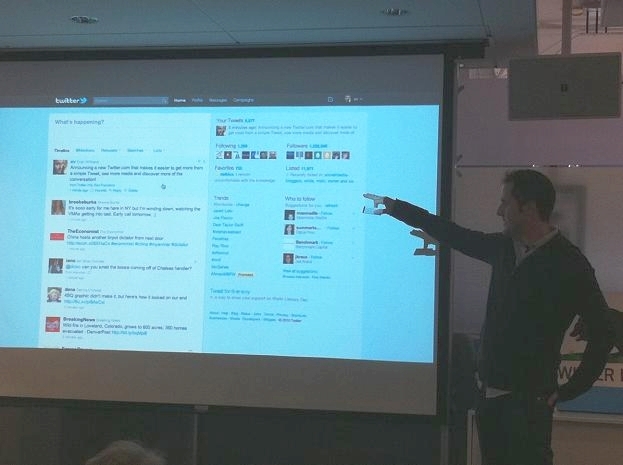 It's all about engagement Twitter Founder Evan Williams told attendees of the press conference which was held this afternoon at Twitter's San Francisco headquarters. Here's an introduction video that was shown during the press release. And here's an image on Flickr on which Jeremiah Owyang has noted (mouse over the image) some of the features and functionality of the new layout. The new version will roll out in batches over the next few days and weeks.